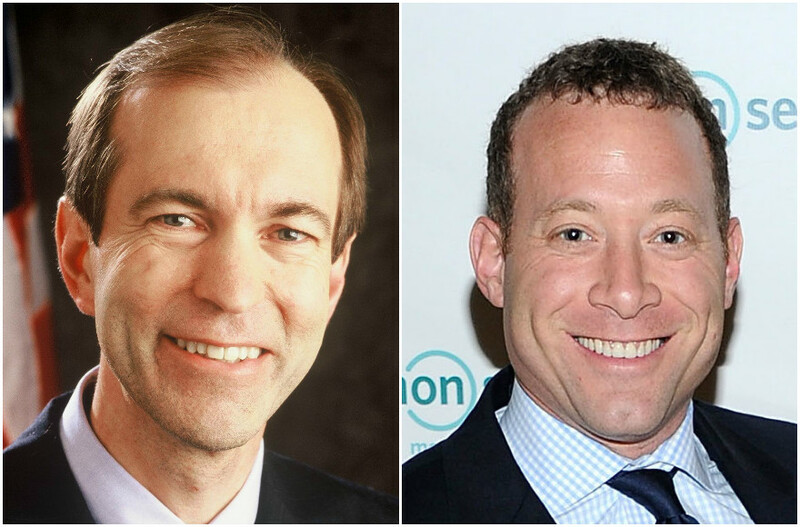 The congressional race in New Jersey’s 5th District is a bitter one, pitting a rarity — a hard-line conservative Republican congressman from the Northeast, Scott Garrett — against Josh Gottheimer, a lawyer who was a speechwriter for former President Bill Clinton and an executive at Microsoft. Now the Iran nuclear deal has become a battleground issue, with Garrett hoping to chip away at Jewish support for his Democratic challenger with an attack ad – which is odd because both candidates opposed it. Not only that, the ad’s contention that Gottheimer endorses the Iran policies of the Obama administration is unfounded. Even more bizarre, when I asked the Garrett campaign to substantiate the claim, it produced evidence that Gottheimer favored a tough-on-Iran policy. Iran is getting play because of the district’s substantive Jewish constituency. Redistricting after the 2010 census added heavily Jewish suburbs like Teaneck to what for decades had been a rural GOP stronghold, but Garrett has still won handily. But Democrats see optimism for change this election, in part because of the effect they hope an unpopular Republican presidential nominee, Donald Trump, will have down-ticket. Gottheimer, who is Jewish, is running liberal-to-centrist on domestic issues, but is hawkish on Israel, which gets its own section on his policy page. “Israel is a bastion of stability in a region that is prone to radical, frequent change, and Israel’s commitment to equality, freedom of expression and religion, and democratic values is unprecedented across the globe, across history, and especially across the Middle East,” he says on the page. Gottheimer has not been shy about opposing the deal reached last year providing sanctions relief for Iran in exchange for rolling back its nuclear development. In a column a year ago in the New Jersey Jewish Standard, he listed five “myths” propagated by the deal’s proponents. Gottheimer also made clear that had he been in Congress, he would have been among the minority of Democrats who opposed it. “Myths can’t change the unfortunate reality that this deal simply is not good enough,” he said. I asked Garrett’s campaign about the ad, and its evidence was at best tenuous: An appearance on Fox News in September 2009, when Gottheimer, speaking as a commentator, praised Obama as being more proactive on the global stage than his predecessor, President George W. Bush, and included Iran as an example. “When it came to Iran and talking about the global economy, he showed a serious difference from his predecessor, which was, ‘We’re here to reach out to you, to work together and to actually bring change a different way to the world,’” was the Gottheimer quote provided by the Garrett campaign. Gottheimer, speaking on Sept. 27 of that year, was talking about Obama’s revelation days earlier that Iran had hidden a uranium enrichment facility at Fordow. Obama was furious and appeared with then-French President Nicolas Sarkozy and British Prime Minister Gordon Brown to say he would hold Iran accountable under international law. He made good on the threat and the subsequent U.N. resolutions were the predicate for toughened sanctions – which were, in fact, stronger than the sanctions approved under Bush. It was a moment when Obama, Israel and the pro-Israel community were aligned on Iran policy. Otherwise Sarah Neibart, the Garrett campaign manager who replied to me, cited support for Gottheimer by leading Democrats who did support the Iran nuclear deal. Support by Democrats for a Democrat is hardly exceptional, however. There is a twist: The Gottheimer supporter who alerted me to the radio ad also dug up a 2006 letter signed by 12 members of Congress urging Bush to renew direct talks with Iran, without preconditions. “Although we are all familiar with the inflammatory rhetoric of President Ahmadinejad, there are certainly other significant governmental bodies in Iran that have demonstrated moderation and eagerness for dialogue,” the letter said. One of the signatories for the strategy that came to define how Obama approached Iran – seeking out the moderates for direct talks – was Scott Garrett. 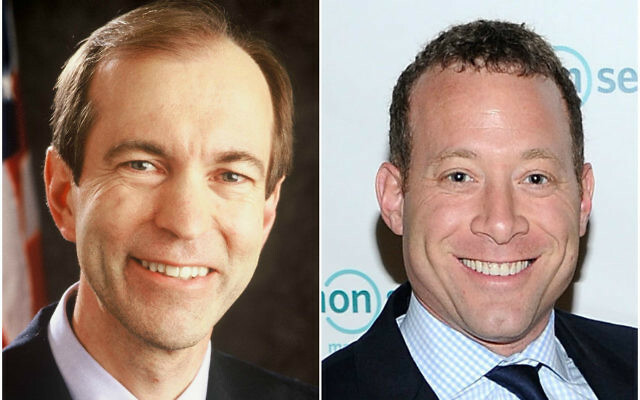 But not so much from a campaign basing its accusations against Gottheimer on a 7-year-old TV segment — and one in which he favored a tough approach on Iran.